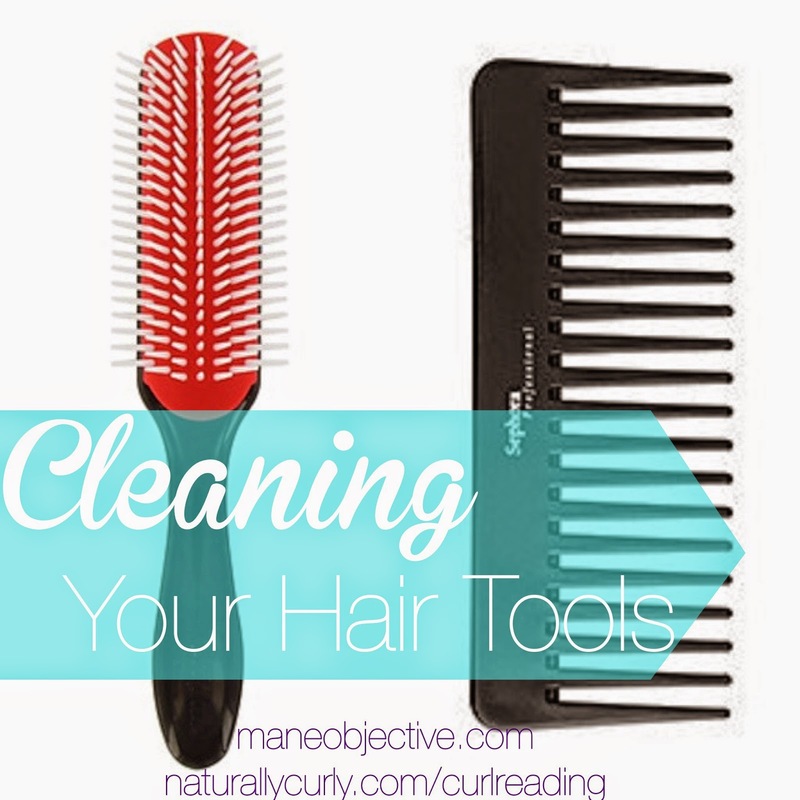 Cleaning combs and brushes is important to do, and of all tools, they're the easiest to clean. Combs and brushes can get some serious buildup on them from detangling, parting, curl clumping, and being used to slick edges, ponytails, and buns. To clean your combs and brushes, simply fill a sink or large bowl with warm/hot (not scalding!) water and immerse your tools. To clean them, you can use dish soap, or even shampoo. You know that shampoo you bought that you thought was going to be great, but actually dried your hair out? Yeah. Use that to clean your tools! Once they're all gussied up, pat them dry with a towel (or paper towels) and allow them to finish air drying before storing them away. Insider Tips: for buildup stuck between the teeth of combs, use a nail brush soaked in water and shampoo, and run it briskly up and down the length of the comb teeth, intermittently dunking it in the water to loosen the gunk. To get gunk from your soft bristle brushes, before you clean a comb, use it to work and rake through the bristles, intermittently dunking the brush into the water to loosen buildup. For more information and insider tips on cleaning electronic tools, flexi rods, satin bonnets, and scarves, head on over to NaturallyCurly.com! I washed my combs and brushes this morning while I had conditioner on my hair, thank you very much :) I used some old shampoo I gave DH. With my soft bristle brush, I did just what you suggested. I took one of those tiny, tiny tooth combs that I will never use (came in that 10 pack from Sally's). Worked perfectly. I left them all on top of paper towels to dry. I clean my combs and hair brushes once a week with shampoo, but I think it needs to be done almost every day. I just think is more healthy for the hair and the scalp of the head.